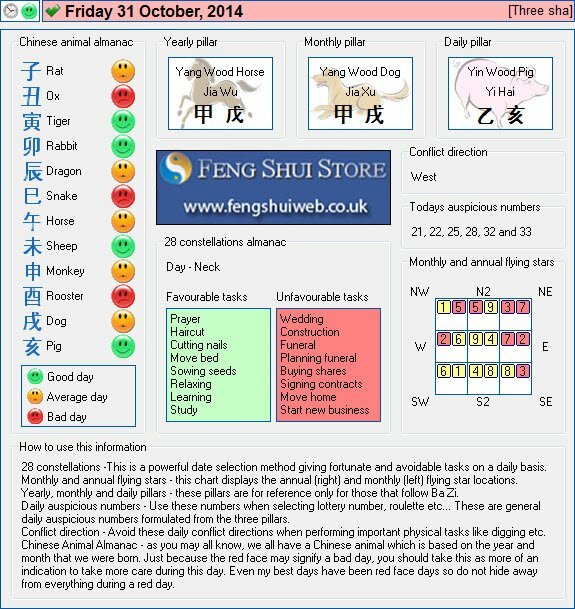 Here is the Free Feng Shui Tong Shu Almanac for Friday 31st October 2014. I bought the tongshu almanac software and I already had activated it and then now it\’s asking me to activate it again and when I try to do so, it failed the activation. I appreciate any help that you can extend.